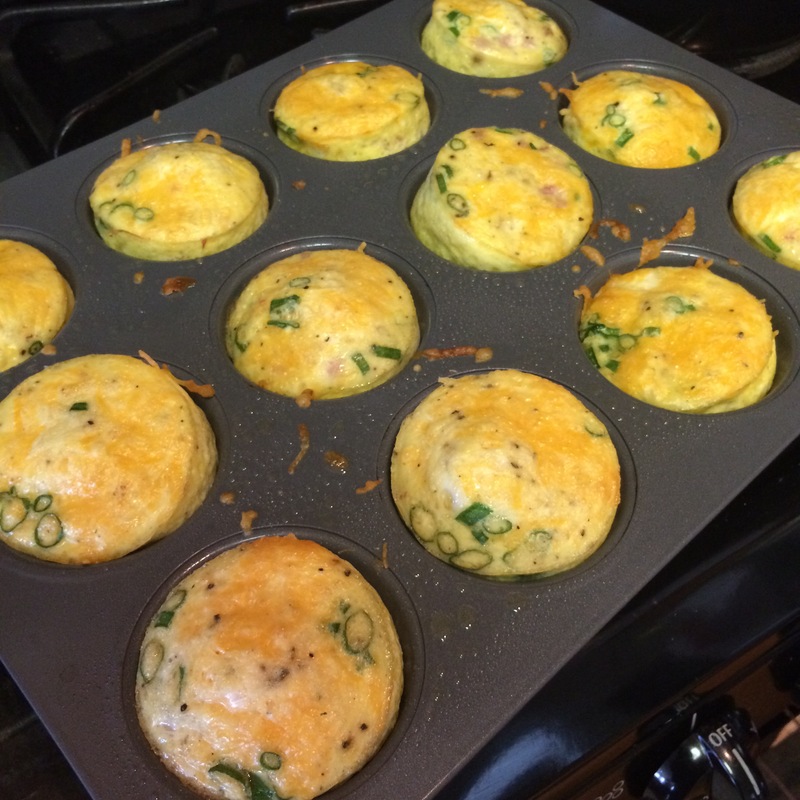 Breakfast Egg Muffins are a perfect grab and go option! The best part about this recipe is that it’s quick to make, easy to clean, and stores and freezes well. I eat 2 for one serving and if you want to make it a more hearty breakfast, like for a weekend brunch, serve with whole grain toast, fruit salad and sweet potato home fries. Combine eggs and egg whites into a bowl. Add salt, pepper and green onions. Set aside. 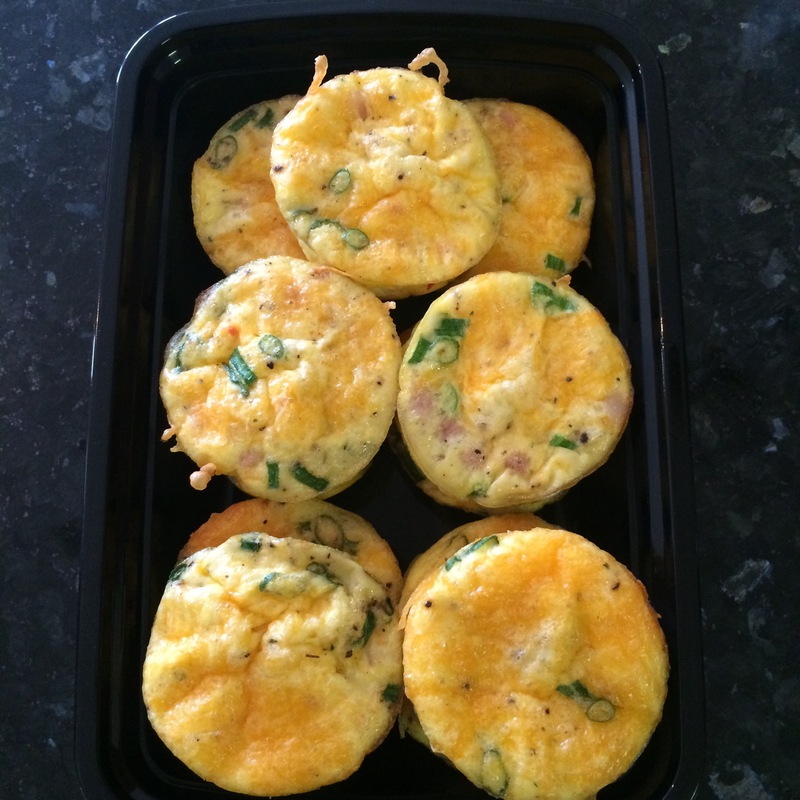 Grease muffin tin with coconut oil and spoon in equal parts of diced turkey bacon and cheese into each cup. Pour egg mixture into each cup and full 2/3. Bake for 20 minutes on 375 degrees. Let cool and store 2-3 cups into a container for your meal or snack. They freeze well and reheat well.